I’ve been busy! 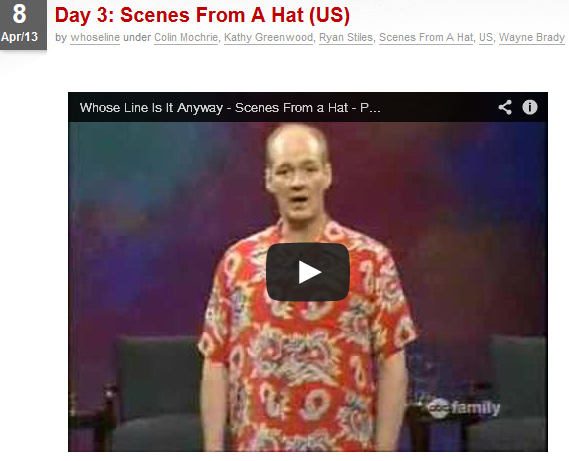 I’ve just launched a pet project called Whose Line 365: a blog 365 project where I’ll be sharing a clip of Whose Line Is It Anyway? (both the UK and US versions) each and every day. It started on 6th April and will continue until 5th April 2014.